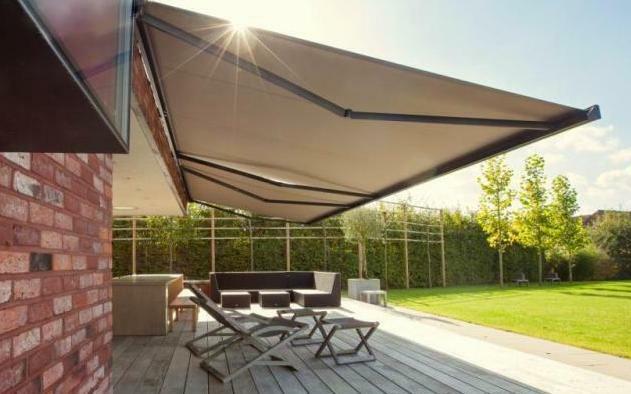 The Sunbox folding arm awning is a full cassette awning made by the Haas Group in Austria. Sleek lines and contemporary design of the Sunbox cassette conceals not only the fabric and arms but also the mounting brackets are fully concealed when retracted. 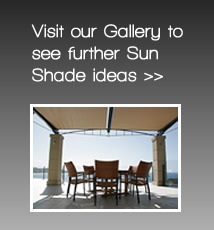 The slimline cassette protects your awning from the sun and rain and hides it from view when it is not required. It’s extremely low profile results in an awning that is very flat to the wall when retracted – only 154mm deep and 220mm high – making it the most discrete folding arm awnings on the market. The strong Multiflex four cable arms provide extremely high fabric tension. The Sunbox folding arm awning has a Beaufort wind scale rating of Category 5 (38km/hr). Arms Internal Spring Assembly: Heavy duty four cable assemble with double springs provide high fabric tension.